Many people ask “What are the best supplements for building muscle”. The best supplements for building muscle are protein, creatine and orange triad. If you have all three of these supplements on deck and give it your all at the gym, it would be impossible to not build muscle. Whey protein is probably the most important and best supplement for building muscle. It is a must have supplement in every exerciser’s arsenal. If you were to buy just one supplement, it would be protein. The reason is that most people don’t get enough protein in their diet. Protein comes from chicken, fish and any type of meat. If you’re not getting atleast 1 gram per pound of bodyweight, you’re not getting enough (we recommend 2 grams per bodyweight). If you exercise hard, tear apart your muscle and don’t feed it with enough protein, you won’t build muscle. Simply put, buy some protein. 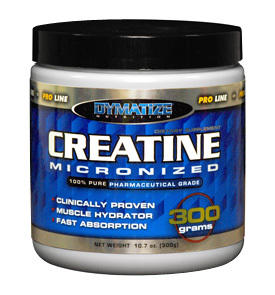 Creatine monohydrate is usually cheap and has been used for decades by people wanting to put on some mass. Creatine is created by the body and converted into energy. Supplementing with creatine will increase your stores and allow you to have more energy. 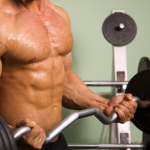 More energy output at the gym will ensure maximum effort and lead to a no-excuse-gym-sesh. Don’t buy into the special types of creatine and just stick to monohydrate – it’s the cheapest and most effective. This is by far the best multivitamin, joint support and immune supplement on the market. It’s produced by controlled labs, a well-respected brand in the supplement industry. It basically has every single vitamin and mineral you’d need. If you don’t eat a variety of foods and you know you’re not getting enough vitamins, definitely buy Orange Triad. It is a bit on the expensive side but you can just cut their recommended dosage in ½ or a 3rd.